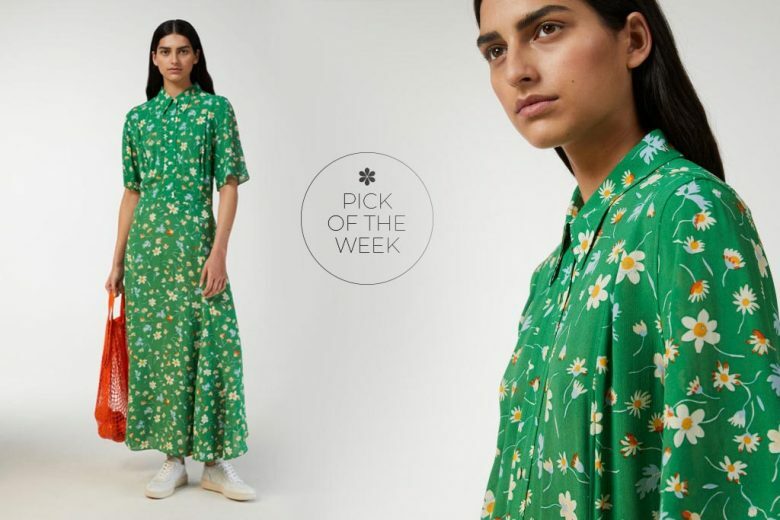 Finally we have some sunshine, and while it may be premature to store away all your layering items, it certainly is time to invest in a disty print midi dress! 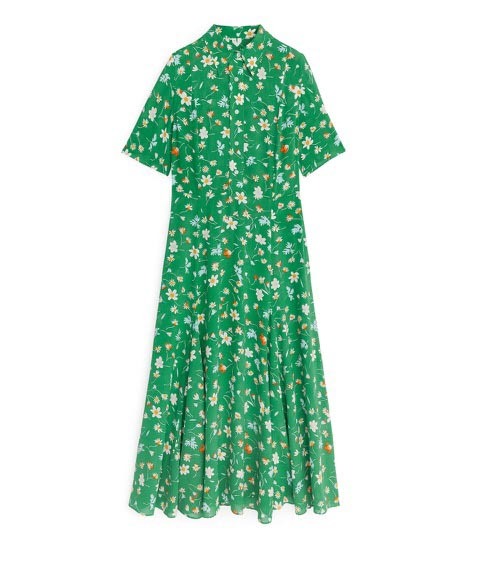 This flattering feminine style is all over the high street this season so I’ve picked a gorgeous green version from the lesser known and not so widely available H&M sister brand Arket. This weeks fashion fix is the perfect length to conceal less than lithe legs and hide those bingo wings, whilst keeping the focus on the waist. For a contemporary look wear buttoned up or layer a basic white scoop T-shirt underneath if you have a larger bust and don’t want to look matronly! As it’s 100% viscose it feels fluid to wear as well as being easy care and for those that like considered design details the floral pattern is an archive print created by one of the most influential silk firms from the mid-century, the F. Ducharne Art Studio in Paris (you can see more here).